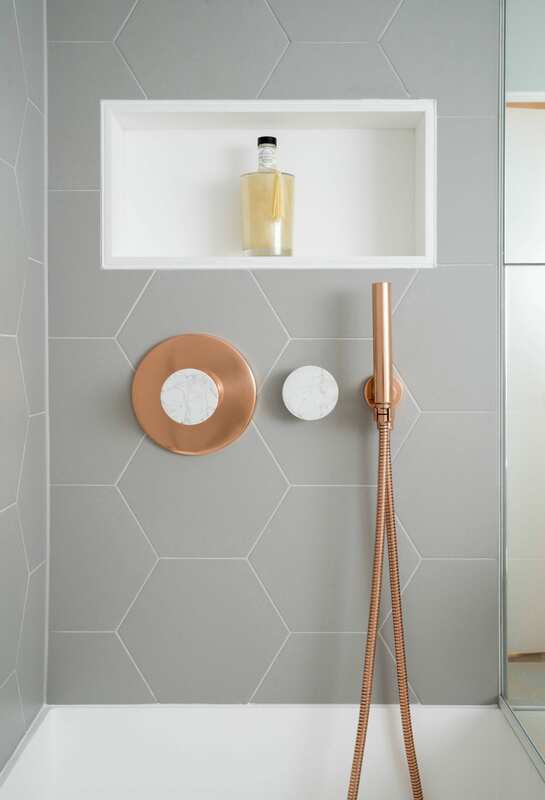 Our client wanted this compact bathroom to appear more spacious, with a distinctly ‘feminine’ feel. 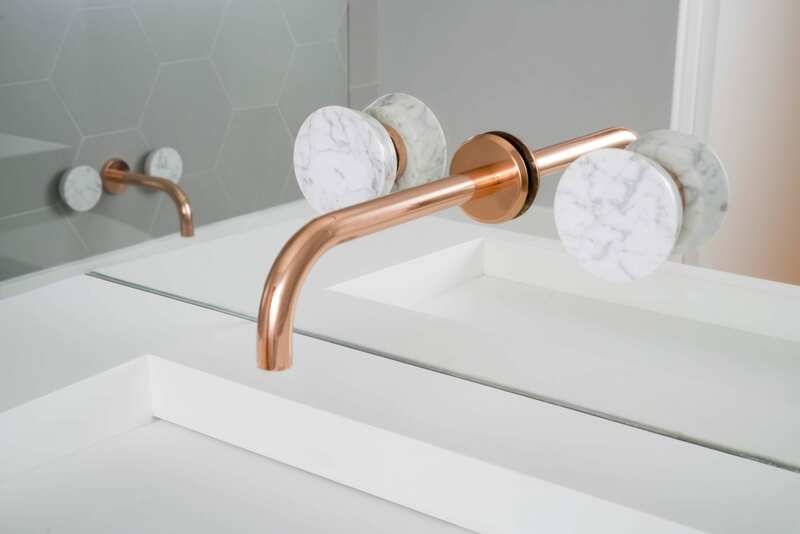 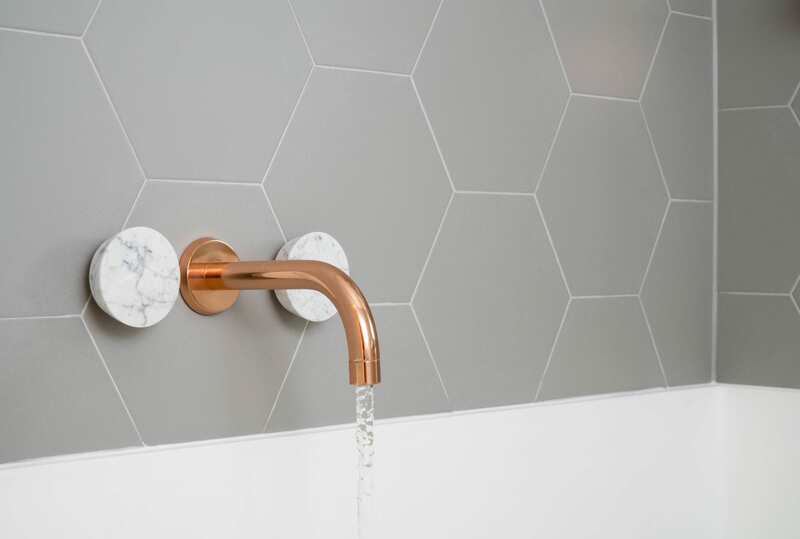 Further colour and texture are introduced with the copper and marble fittings. 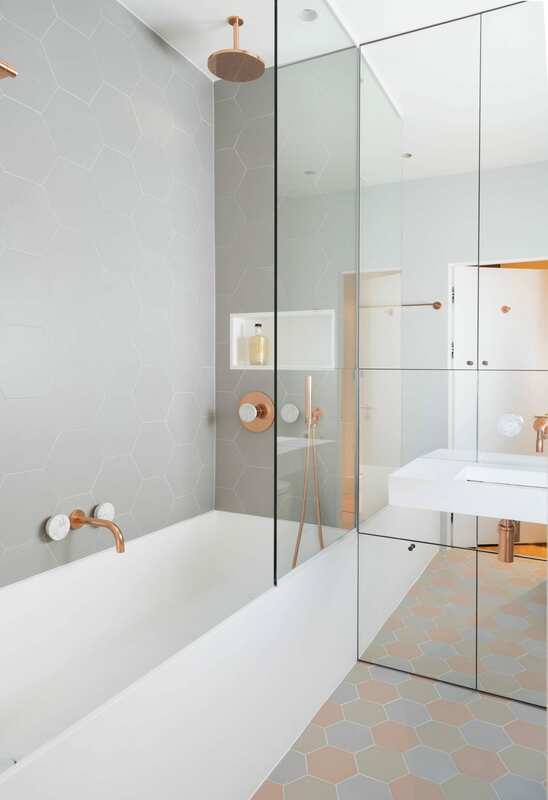 While the beautiful stone resin bath gives the room a modern feel.